Back in 2004, I started keeping notes of new camera rumours. 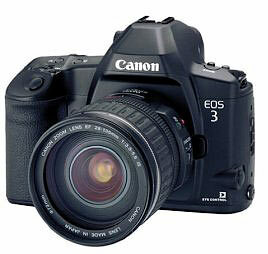 Ever since then, the EOS 3D has been a mainstay of Canon camera rumours and myth. Will we ever see one? 20th Mirrorless EOS R is the future, so I’m expecting the next appearance of ‘3’ in a mirrorless model. This raises the issue of just what the EOS R numbering system will be? So will it be an EOS 3R or an EOS R3? And, what many seasoned 3/3D watchers will wonder, is will it have eye controlled AF? 9th Will it be a 3D or 5Ds? Personally I’m still hoping that we’ll see a 3D – mainly because it gives Canon a chance to make a ‘mini’ 1 series, without bothersome (YMMV) dials on the top. My suspicion is that introducing a whole new body style gets ruled out for development cost reasons. 25th The FF 50MP sensor gets a mention [CR] but in versions with and without a LPF. 21st Photokina came and went, with the expected 7D2 finally making an appearance. Despite much of the normal gloom you expect on forums, I think this camera will be a real winner for Canon. I was on holiday in Wales during Photokina week – an excellent excuse when asked by quite a few companies if I was going to be there (thanks anyway! ;-). What tips this over the casual forum remark is that the forum owner pointed out that he trusts this source. Of course, this has filled up forum columns everywhere. The last related info I saw that was linked to such a camera is just below, and dates from March. So… take your pick. Just remember that this page actually does back for 10 years of 3D rumours. Running with the story a bit, I’d note that 46MP is the full frame equivalent of the ubiquitous Canon 18MP APS-C sensor, so I don’t doubt they could make it (or a ~52MP version of the 7D mk2 sensor). I note that ~50MP talk has bought out all the ‘too many MP’ naysayers again. Given it’s still likely to be a Bayer style sensor, we’re still some way from ‘outresolving’ lenses (whatever that actually means – I don’t know). $8-9k is not much over what the 1Ds line was introduced at – more than I’d like to pay, but if it’s a big enough jump in performance over my 1Ds 3 (for the stuff that matters to me) then it’s a cost our business could justify – the 1Ds3 has more than paid for itself in the 7 years I’ve had it – I’d budgeted for the 1D X , but it just wasn’t the advance I was looking for. It would be nice to have a camera that could allow some of the more expensive lenses to show what they can do. 26th We’re told (thanks) that there will be a 3D later this year and that it will be the ‘bigger brother’ to the 5D3, not a smaller 1 series (as in the 1V without the battery grip). Specifications are ‘broadly similar’ to the 5D3 but with a ‘much higher’ resolution sensor and 4k video options. The price will be higher than the 5D3 started at, and means that the 5D4 won’t be along until well into 2015. However it was noted that it was possible that this camera was actually the [early 2015] 5D4 and the ‘3D’ name was just being used to identify the particular test cameras. Our last info of any note, suggested that there would be no 3D and that by early 2015 there would be four FF cameras (6/5/1/1s) with the return of the ‘studio’ (as was the 1Ds line ) one series. The source for this one also recently suggested that we would see a return of the fast pro ‘sports’ camera (as in 1D ‘mk5’) but that it would appear as a whole new DSLR body design. I’ve had a couple of comments about unusually shaped prototype DSLRs. Could we be seeing a vehicle for some very different technologies? 18th If I put a 70-200 2.8L IS on my 1Ds3 and hold it to match the angle of the mystery camera, the proportions look identical. 26th After the high MP info the other day (1D Xs) we’re told (thanks) that the 3D name is still being considered for a high MP camera, but that an integrated grip and 1 series build quality is considered important. That said, all our other info still suggests something actually in the ‘1 series’ is likely to be ‘previewed’ this year. As per last month, there is still no detail, and given Canon’s recent information control with the 100D and 700D launch, I suspect that we’ll know very little, until more ‘official’ leaks are sanctioned. 19th At Pentax forums [PF], there’s a supposed copy of a page from Japanese magazine “Camera Japan”, there’s a slew of ‘predictions’ for 2013 Canon 70D for March, 700D for June, EOS Me for July, 7D Mk2 for August ad an EOS 3D for October.Quite a collection ;-) Picture on main rumours page. 6th Any new high MP FF DSLR won’t be shipping this year, seems to be the consistent view of several comments we’ve had of late. Going 3 against 1 in favour of a 1D style body over an all new ‘3D’ – all rumours came without specs, something that I’d expect if we are indeed some way from any product. 28th In some information about a 7Dmk2 (on the 7D2 page), it was noted that a new sensor in the 7D2 would be the basis for a ~50MP 3D that would be announced later in 2013 or early 2014. 18th Of late, an upturn in high MP camera rumours. – First up, we’re told that it will look different from both the 1Dx style bodies and the 5 series, and that the design will be more like the EOS1-V The ‘3 series’ name is still a real consideration, but with an announcement no sooner than next Spring (Q2/3 more likely), and cameras to be available at Canon events in the Autumn, it may yet get a variant of the 1 series naming (as with the 1D C video camera). I’d note that one long time source assured me that they think a 1DX style body is still more likely because the extra internal space and ability to reuse components it gives designers. – Secondly, there was a price point of ‘no more than the 1D X at launch’. The growing reputation for ‘anounce now, ship next year’ from Canon is apparently seen as potential cause of reputational damage, particularly given Nikon’s recent improvements in supply timescales. – Lastly, we’re still getting reports (thanks) of test cameras (in 1D X bodies), both in the Far East, and at a US East coast studio, where an the emphasis was placed on base ISO testing (100) and fine (fabric) detail, using a special version of DPP (which is pretty much standard for testing anyway). No sample images were left behind (yes, that would be too much to hope for ;-), but computer screen views were ‘on a par with good digital MF captures’ and showed minimal moire issues. The upswing in comments about any camera , moves it up a rung (and only one) from the wishlists I’ve seen of late, but there are still a few rungs to go before I start planning the retirement of my 1Ds3 ;-) See also 1DXS pagefor other high MP rumours. 23rd A further suggestion [thanks] that aspects of a new sensor design will first appear in next year’s 7D2, 70Dand 700D, and that this is what will appear in a high MP sensor later in the year. The delays in this are what held up the 7D2 and led to pushing out the 7D firmware update. Same source as yesterday, so similar caveats. 22nd We’re told [thanks] to expect to see a ‘preview’ of a ‘high MP EOS DSLR’ at the upcoming PhotoPlus show in New York (Oct 24-27). Although the current official line (see the Canon interview at [IR] Link fixed) is that 20ish MP is a ‘sweet spot’ for DSLRs, D800 specs, price and performance is considered ‘worrying’ in some market areas. 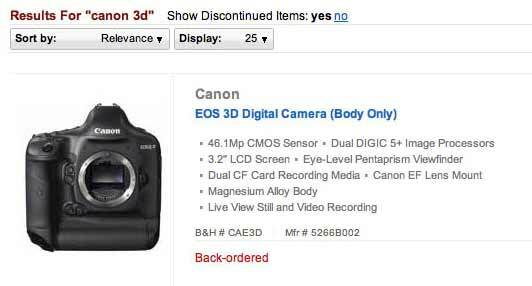 24th A suggestion (thanks) that an EOS 3D branded camera is on its way, but not until 5D3 and 1DX initial sales demand is met. 1D X sales in particular were very strong at the moment. Currently it was said, there are still at least two major versions in trials, pointing to an announcement no sooner than next spring. There is mention of better heat dissipation from the sensor and amplifier changes bringing about better low ISO. Note – the lack of LCD could just be no second small LCD as with 1 series bodies. 5th More high MP suggestions at CR – no details though. With the D600 looking ever more real [NR], I’m expecting a distinct upturn in rumour rates in the run up to photokina. 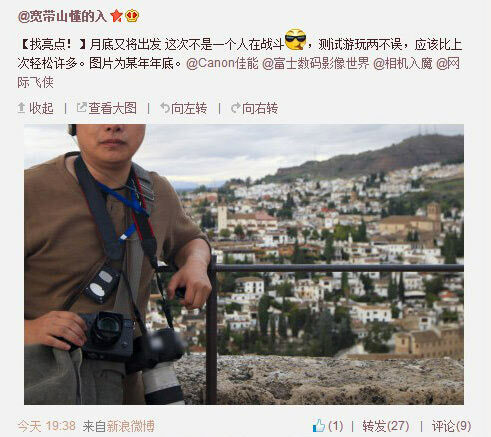 25th A camera store based rumour for a 32MP 1Ds 4 [Potn] – more on the 1D Xs page. I’d still put this in the D800 wishlist category… The only imminent release we’re getting snippets of info about is an ‘introductory level’ full frame camera, an EOS 6D? 17th Another report [thanks] about a high MP test camera using a ~47MP FF sensor. Again the emphasis was on ‘studio use’, but the tester was specifically asked about shadow and noise. 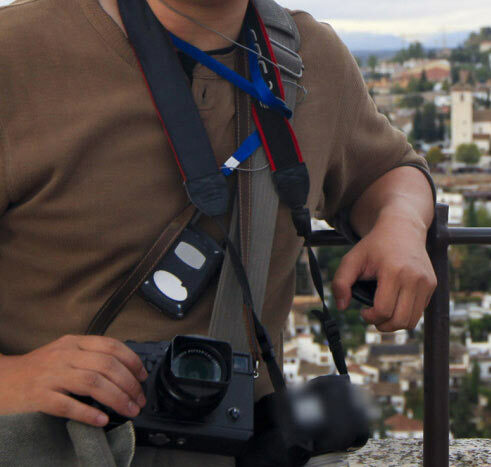 The camera was in an unmarked ‘5D3 style’ body. 47MP suggests that perhaps it’s based on a development from Canon’s favoured 18MP APS-C sensor size. Whilst I’ve no reason to doubt that such testing is going on, I’m not hearing anything about actual camera announcements any time soon. 22nd An interesting comment (thanks) that says that the new higher MP camera will appear a year or so after the 5D3, so next spring is suggested for the launch. The emphasis was on a ‘studio’ camera to recapture ground from the D800, and that Canon were acknowledging that the 1D X was not it. 6th We’ve had two emails [thanks] about full frame test cameras going out to a number of places in the Far East. The interesting bit was that they were 1 series ‘type’ bodies, but not the 1D X. Unfortunately the people with the cameras were not divulging much …often testers are not told many technical details, and Canon has an active ‘anti-leak’ program, so any info given may well include stuff for tracking. 4th I’ve heard people say that the Japanese magazine is a plausible source, but I’d like to hear from anyone who can read the original and convey the overall tone of the article, which also mentions the Nikon D400 and D600? 3rd A fairly well known Japanese magazine [CAPA] mentions details of a 24MP 70D and the fabled full frame 3D. Does anyone have the latest CAPA magazine in Japan – a scan/translation would be helpful? One mention we’ve had twice was of a ‘very high’ MP camera in a 5D3 body being tested, one sighting in the US and one in the Far East. From a previous source [thanks] comes mention that the 3D will be for real by next Spring, but that the sensor specs are still ‘a matter for debate’. This was said to be directly as a result of the success of the D800. Still sounds a bit too hopeful – I just remind myself that this 3D page goes back to 2004! 18th Several new suggestions [thanks] that a (much) higher MP 3D will be a 2013 camera. We’re told that ‘there is no rush’ and that Canon is confident that its lower MP policy will prevail. Although comments from different sources all point in the same direction, I’m still minded to think that there is a strong ‘D800 wishlist’ influence at work here. Sony are likely to make use of a D800 style sensor in a FF DSLR before too much longer, and with everyone else still pushing up the pixel count, I’m trying to pick out any real clues from what people have heard. 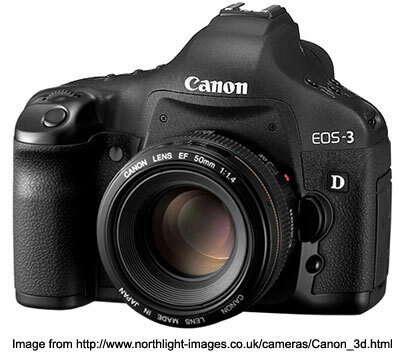 6th It’s suggested [PB] that the 5D2 won’t be replaced any time soon – time for another all-new camera? Time for a 3D? 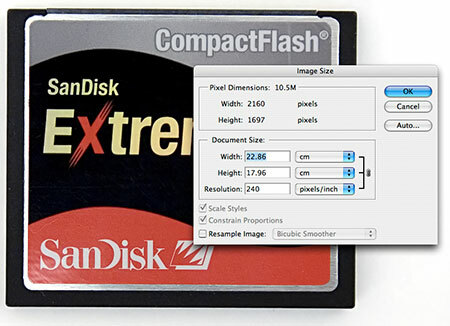 With the D800 widely trailed at 36MP, what of high MP sensors for Canon? This is the first time I’ve had a 3D related rumour sent in for some time. I was told that it was alluded to in the recent Japanese interviews with Canon personel, but since I don’t read Japanese, I can’t verify that. Whilst I’ve heard from both sources before – they are likely reporting a single vague rumour I’ve previously heard from the US, so usual ‘3D’ caveats apply! 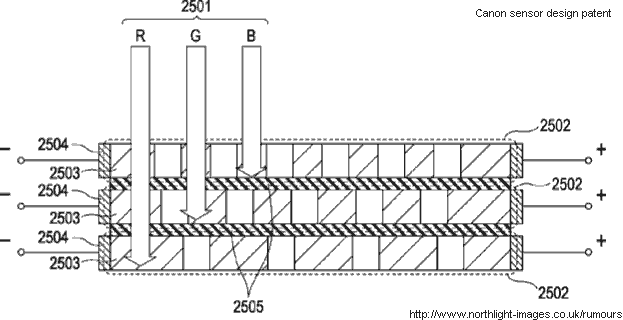 Note that the 3D bit refers to the sensor structure – not 3D as in two lenses and funny glasses! 13th We’re told (thanks) that early next year will see a new full frame DSLR, and the 3D is its likely name. It will mark the appearance of Canon’s new sensor design (see June last year below). The same source hinted that the 5D3 will use a version of the sensor in the upcoming 1Ds3 replacement (as per 5D and 5D2), and won’t appear until next August (for photokina 2012). 25th The rumour mill seems to have gone into overdrive of late, and sure enough, we’ve been sent (thanks)some specs for the 3D, although it was said that this will come -after- a 1Ds4 and is not the 5D3. These figures look very similar to ones I’ve seen elsewhere [CR] but it’s good to see the 3D make a return to the show. However, before you get too thrilled, see this earlier on this page from 2006 – we’ve been here many times before. 14th In a comment about the 1Ds4 not appearing at Photokina there was the suggestion that there is an ‘other pro level body’ for Photokina. 13th A suggestion that the 1Ds3 replacement will be so far advanced that space for a 3D will be made. 10th We’re told [thanks] that a 3D is on its way early next year. No mention of MP, but ‘low light’ was a key feature. This is meant to be ‘Pro level’. Details in the comments lead me to think that this is not the same as mentioned at CR – however I’ve been getting mails like this since 2005, and most reliable ones have been precursors of what was the 5D and 5D mk2 – more detail welcome! 28th The dreaded ‘F’ word appears again – June 2006 was the last flurry of ‘Foveon’ 3D activity (see 2/3 way down this page). 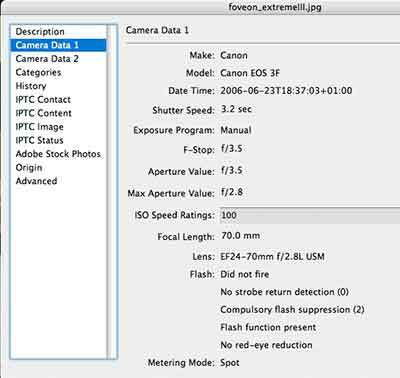 From ‘Anon’, we hear of not only 60D testing, but also a 27MP Foveon based 3D. Unless the 1Ds4 is truly revolutionary in sensor design (and this is Canon we’re talking about) then there is unlikely to be anything like this any time soon… As to Foveon, I thought that one stopped being kicked around in connection with Canon, several years ago. 9th At CR there are comments about a possible camera that shoots stills/video and is not like the 5D2. If you are new to ‘rumours’ and inclined to treat this stuff too seriously, I’d suggest dropping down this page to September 2004 and following just why the 3D keeps surfacing. 9th We’re told (thanks) of a 3D for -next- Spring – Full frame and aiming squarely at D3s/D4 [sic] ISO performance. 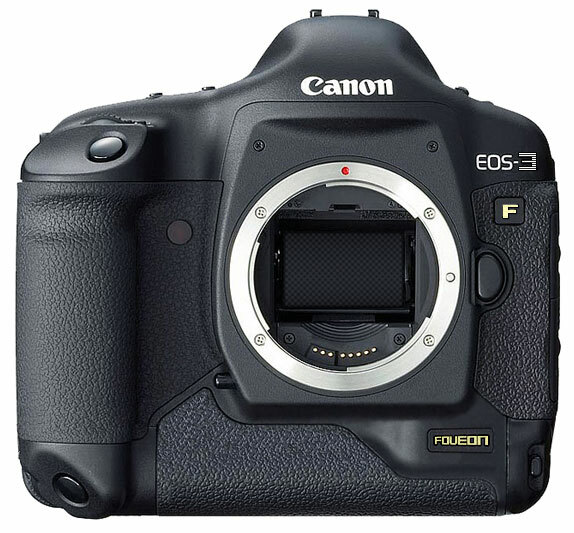 The question is, will Canon produce an FF camera with less MP than the 21 of the 5D2? Probably not, so I’d hazard that we won’t see a 3D until some time after the 1Ds4 puts a margin between the top of the 1 series and the 5D2 (1D4 pixel density equates with ~27MP FF). 27th We hear that Canon are in no rush to replace the 1Ds3 maybe not even until 2011. This, it was suggested, leaves an opening for a full frame 7D – the 3D. Some time ago it was suggested to us that Canon were considering a 16MP FF camera, which with sensor advances would have pretty impressive low light performance (LOTD?). 4th In a comment [thanks] we hear that some senior Canon people were downplaying any prospect of a 3D ‘for some time’. Whilst we’ve regularly heard from our better sources that a more basic FF camera was an option, they always added that it depended very much on market response (did FF -really- sell cameras) and not cannibalising existing sales. 9th At last it’s back – a good solid 3D thread [DPR] with all the classic responses and arguments. Including some nice if unfortunately rather hopeful specs. Does this mean the on/off 5D split is on again – hopefully the Sony and Nikon 20+MP cameras will hasten this ;-) Look for 1Ds3 price cuts next year to herald it. 17th The CR story is updated to have the 3D powered by Digic IV – If you’re interested in some of the background for this, see the large amount of info we were sent last September. 14th A 3D to go with another FF body? There is a report [CR] of a ‘3D’ and ‘6D’, although if previous numbering conventions are anything to go by I’d suspect the model number guestimates are the wrong way around. FAKE – One good way to show up sloppy Photoshop work is to apply a curves layer with a very sharp ‘S’ curve. Move the mid point around and inconsistencies will show up, in this case loss of grip texture around the ‘D’ and a dark halo round the ‘3’. There is also the somewhat distorted shape of the whole camera. If you get the contrast right you can also see JPEG compression artefacts in the top half, that are missing from the bottom. Update – thanks for the version of the above we were sent, showing a quick mashup of widely available 1Ds3 and 5D images that looks virtually identical. 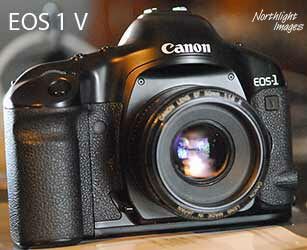 “Is Canon considering bringing Eye Controlled Focus back to any of the digital EOS bodies? Is there some technical limitation? 2007 August 23rd The D3 and D300 have certainly reignited the 5DMk2 discussions :-) I’ve even noticed people mentioning the fabled 3D again (it’s been rumoured for years :-). It would be highly unlikely that Canon didn’t know what Nikon (and Sony) were up to, and must have factored all of this into their calculations. 2007 March 14th Some 1D3 prices starting to appear on US sites (thanks for the info) $4999 at zipzoomfly and $4599 at fotoconnection – however supplies are, as expected, somewhat scarce. and … Another pic [See DPJ] of a supposed 3D is doing the rounds. See also PB for more. 2006 June 26th E-mail I’ve received on the ‘EOS3’ pics overwhelmingly say ‘FAKE’ – I’m minded to agree … ho hum, I did say take stuff on this page with a big pinch of salt :-) I’ll leave the pics up for the record. A blast from the past indeed, I thought I hadn’t heard anything about Foveon for quite some time. Could this actually be the elusive EOS 3D that people have been postulating for years? Whether the higher dynamic range sensors we heard about in March make it into the next 1Ds, or arrive in something new and big announced in 2007 remains to be seen. An EOS 3D? The EOS 3F ? Note! – We were just sent the pic with the sample picture (see above) and no other info so you will just have to make your own minds up on its veracity. 2006 February 15th – Mutterings about a 1Ds RS , using a pellicle mirror to save on having to flip it up, and managing 10fps at 18MP full frame. Also a 3D midway between 5D and 1D lines (haven’t heard that one for a while… ;-) See the Fred Miranda forums for the standard collection of posts that follow any such posting :-) … and there are a lot of them. 4th 3D between 1D and 20D? 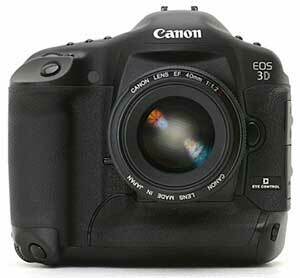 2004 4th September Some people still hoping for an EOS-3D which would sit in between the 1D Mk2 and the new 20D. The best money still looks to be on the 1Ds Mk2 at Photokina (info about event). TTL max. aperture metering with a 21-zone silicon photocell. Shutter type: Vertical-travel, focal-plane shutter with all speeds electronically-controlled. Shutter speeds: 30 to 1/8000 sec. in 1/3-stops, X-sync at 1/200 sec.